We have slightly tweaked the recipe for our personal tastes and to serve 2 people. If you’re interested in the original recipe it can be found in Eating Well Made Easy. 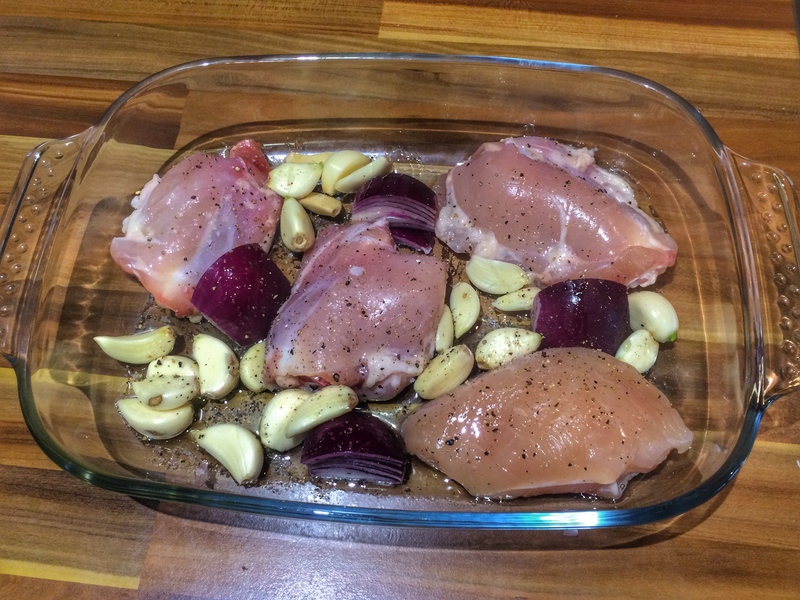 4 chicken thighs (on the bone, skin removed) – you can use breast instead if you wish, but the thigh has better flavour. Pre-heat the chicken to 220ºC. 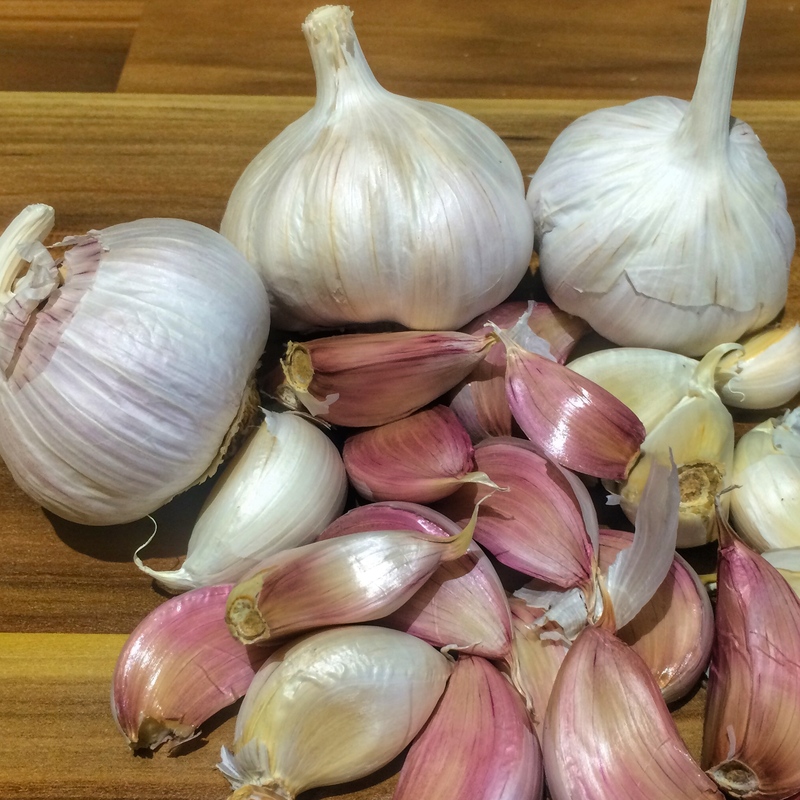 Peel all the garlic cloves and peel and cut the red onion into quarters. 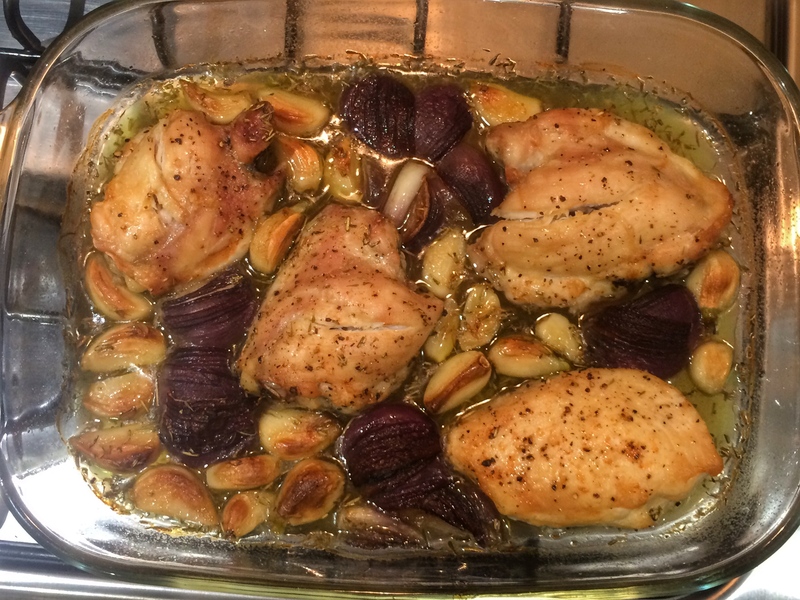 Put the garlic cloves, chicken thighs and onion in a baking tray. Drizzle with olive oil and season well with sea salt and freshly ground black pepper. Bake in the oven for 10 minutes until the garlic catches some colour. Add the rosemary and thyme to the chicken stock and leave the flavours to combine. When the initial 10 minutes is up, remove the chicken from the oven and pour the stock and herbs over the meat. Return to the oven and continue to bake for 30 – 35 minutes. Once the meat is cooked through (when the juices run clear), remove the chicken and pour the remaining contents of the baking tray to a food blender and blitz. Serve the chicken with some of the blitzed garlic sauce and new potatoes and a sprinkling of chopped parsley.